Enjoy two trips in one. Firstly Inveraray. 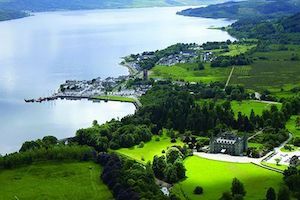 In addition to the Castle, there’s the Georgian Inveraray Jail, the Clyde puffers VIC72 and the Vital Spark, the Bell Tower and a bustling high street full of great shops and places to eat. Next stop is Oban. Oban has developed into Scotland’s most popular West coast holiday town. 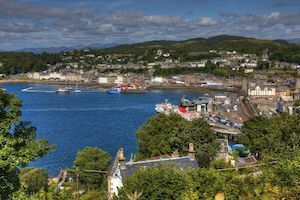 There are plenty of things to do in Oban, or you can simply enjoy a wander along the main street with plenty of great shops and cafes/ restaurants.